Not a very Halloweeny figure, but read it anyway! Well no spotlight today, instead a friendly reminder that our contest, Customs for a Cause starts up tomorrow!! Hope you guys have had your creativity hats on these last few days!! Can't wait to see your entries!!! We're big fans of John Coppinger and his many contributions to the Star Wars saga! Back in 1983 he was part of the team that created the incredibly advanced Jabba the Hutt puppet for Return of the Jedi (which we interviewed earlier this year; click here to check out Part 1 & Part 2 of the mega-interview if you haven't already). 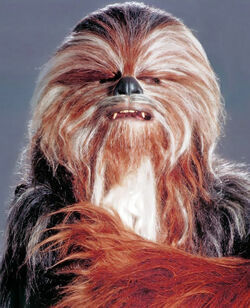 Then when it came time for Star Wars' return to the big screen in 1999, John was involved with bringing more characters to life for The Phantom Menace including Yarua the Wookiee senator and Podrace spectator Graxol Kelvyyn. I recently interviewed him again about his work on The Phantom Menace as we look forward to its return to theaters next February. Yup, thats right, we got two spotlights today! ghostskull18 is also in our spotlight with his own take on Elan Sleazebaggano! Click here to see more pics and some of his other work!! Incom is in our spotlight today!! 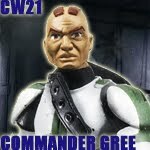 Check out his Mandalorian Novoc Vevut!! Wow those are some impressive dred sculpting! Click here to check out some more pics, and his other work! If I may toot my own horn, for today's VINTAGE COLLECTION review, we have a special guest-reviewer: me! Oh, not that special? But...okay. 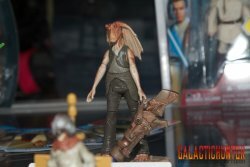 Is Bastila Shan worth tracking down? 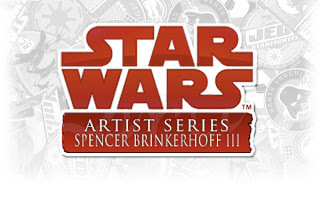 Rebelscum has a little news from Star Wars Insider on their home page! Read on to check it out. Commander_Kurgan is in our spotlight today with his custom Mandalorian Warrior!! Wow, that thing looks cool!Click here to see more pics and some of his other work! Does anybody own this figure? Very few that I know have one, but I don't know anyone who has more than one of the basic figure. Is he worth tracking down? Who wants to win some cool prizes, and help a great cause at the same time? Well from November 1 to January 31, Echo Base News will be running a Star Wars customizing contest called Customs for a Cause! We'll have several winners, including a fans' choice vote! You may be asking yourself, "Whats the theme?" 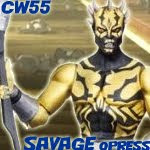 We decided to forgo the theme and make it an open ended contest as long as it's set in the Star Wars Universe! We're limiting it to three entries per person. We'll announce prizes at a later date and to make things even better, for every entry, Echo Base News will be donating $1 to ROAR Charity (Rwandan Orphan Assistance Response), run by Lily Nyamwasa (the actress who played Jedi Master Stass Allie in Attack of the Clones and Revenge of the Sith). More information about the charity is available on their website www.roarcharity.org So get out there, and start customizing!! For you lucky souls near a Toys 'R' Us, some amazing sales are going on this week: ten dollars off the Battle for Endor sets, 25% off LEGO sets and $20 off the Slave 1 Ultimate Battle Pack! 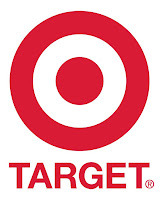 Target has a great sale on Battle Packs this week: each Battle Pack will only cost you $16.99! Most packs have at least one new figure and it takes part of the pain out of buying sets like "Cad Bane's Escape." 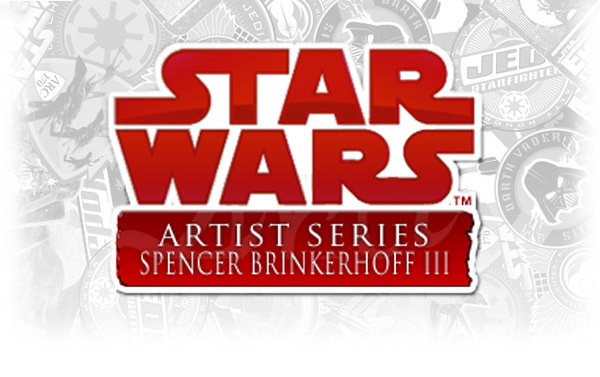 I have recently interviewed Spencer Brinkerhoff, who is a well known Star Wars artist, he has also done work in other genres. Vote for the Next Fans' Choice Figure! Voting for the next phase of Hasbro's official Fans' Choice poll is now underway! Fans can pick a character from a list of twenty, which was compiled from data from various fan sites across the web. Click here to place your vote! Sometimes, even the best laid plans of mice and men go awry, and your reviews get posted really, really late. Sorry about this, guys. 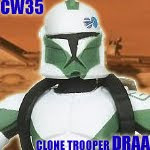 How about a Clone Trooper to brighten your day? Gotta defend Kamino? Need another female Jedi? 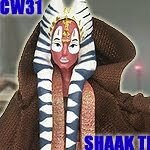 Will Shaak Ti do the job? Echo Base News is also keeping Star Wars cool on Facebook, where you can find even more exciting content and discuss the latest Star Wars news with us. Please click here and "like" us today! Kotobikuya to Produce Star Wars Bishoujo! Personally, this is one of my favorite announcements. Kotobukiya is turning their eyes on Star Wars in their popular Bishoujo (Japanese term meaning "beautiful young girl") line! First of the bat is Jaina Solo, X-Wing Pilot! 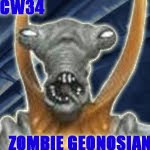 Check out Rebelscum's report for more detail and a bigger picture. 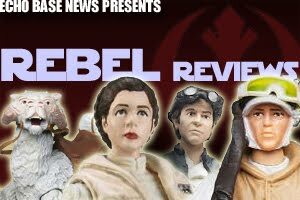 Rebelscum details "Discover the Force!" 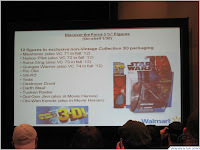 Rebelscum.com details the "newly" revealed line called "Discover the Force!" 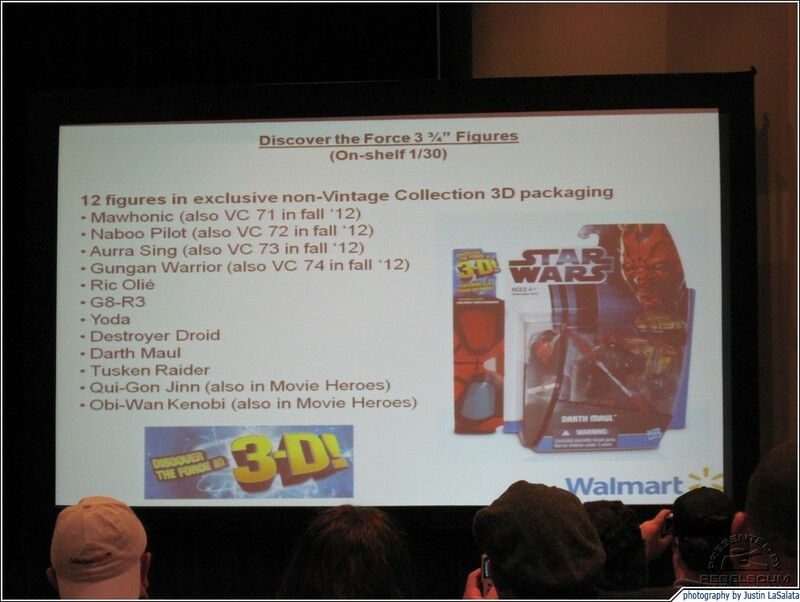 17 items will be available in 3D packaging for the release of Episode I..what are they? Read on to find out! Luke Skywalker's Tauntaun and Landspeeder Found! 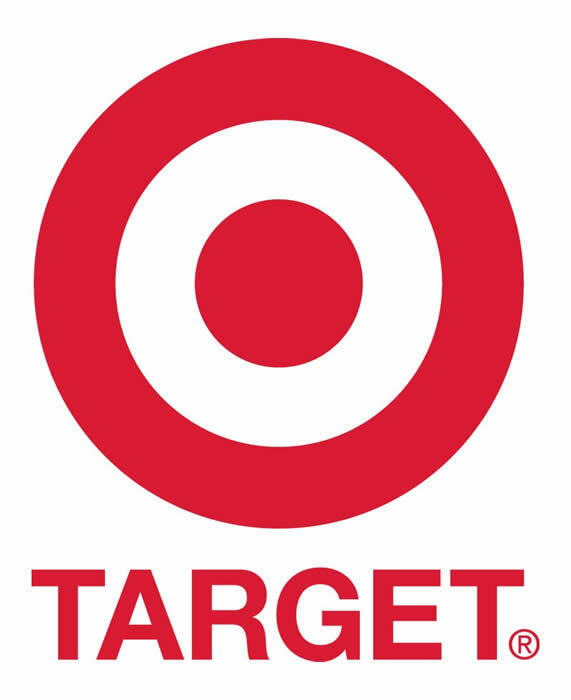 Yakface.com is reporting sightings of Luke Skywalker's Tauntaun and the Landspeeder at Target! Read on for pricing and DPCI. 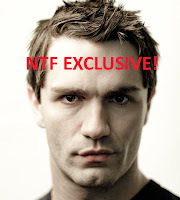 Nuke the Fridge has scoop that Sam Witwer, voice of Galen Marek and the Son, will be voicing a familiar Sith Lord in the Clone Wars!! Don't forget that Echo Base had an interview with Sam (conducted by Mike) that you can read here! 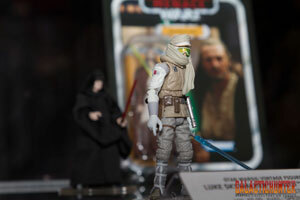 Galactic Hunter has images from NYCC of tons of new stuff from this this weekend! 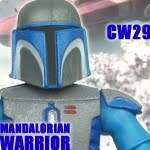 Galactic Hunter has a selection of pictures from the Wal-Mart exclusive wave and Movies Heroes! Rebelscum has details on Hasbro's Comic-Con presentation from NYCC! New York Comic Con has really stolen the news, but check out our Week in Reviews! There will be no review this weekend due to NYCC. At Fan Days I got a chance to talk to the always wonderful Ashley Eckstein about voicing Ahsoka Tano in The Clone Wars, Season 4, and the Her Universe line of fangirl clothing and accessories. Read on! New York Comic Con Coverage! Jedi Insider kicks off their New York Comic Con coverage with new shots of the Deleted Scene figures, Hoth Luke Skywalker and a Death Star Gunner! 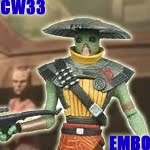 When people tell me they don't collect Clone Wars figures, I think of Embo. And I cry. Why? Last weekend at Star Wars Fan Days I got a chance to chat with the very fun actress Meredith Salenger. She's been the voice of Barriss Offee in Season 2 of The Clone Wars and various other characters throughout the series, including a new character coming up in Season 4. Read on to see what she has to say about her experience working on The Clone Wars so far! 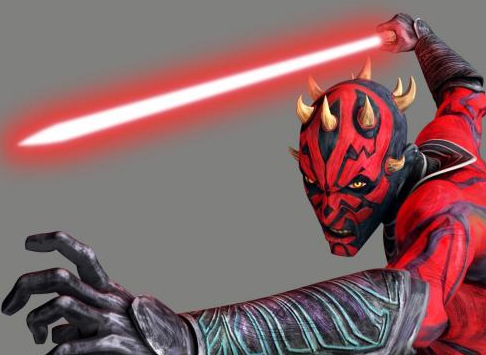 Not even being cut in half can bring an end to Darth Maul, apparently, because the most iconic Star Wars villain since Darth Vader will be returning alive and well later in Season 4 of The Clone Wars. 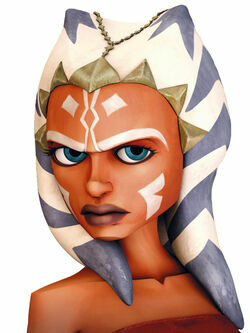 To read the USA Today article and see the first image of the Zabrak Sith in animated form, click here. To see a quick video sneak peek, click here to check it out at Entertainment Weekly. What do you think of Maul's return? Totally exciting? Completely ridiculous? Join in the discussion on our Facebook page! Echo Base News at the San Jose Super Toy Show! 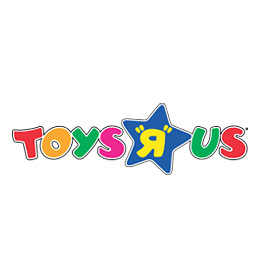 If you're a Bay Area collector then you wan't want to miss the San Jose Super Toy Show coming up on December 3, 2011. And for the first time, Echo Base News will have a booth at the event, so be sure to stop by and check it out. More information on what exactly we have planned for the show will be posted soon. Mark your calendars! In terms of messed up, creepy figures...we don't get many. And we sure as heck don't have any other Zombie figures! How does this guy do to fill the hole? Miss any reviews this weekend? Catch up here! ghostskull18 is in our spotlight with his custom Bounty Hunter, Drin Valko!! Click here to see some more of his work!! Really, did you not buy this figure yet? Find out why you've missed out! darthdaddy is in our spotlight today with Master Zao! Zao is one of my favorite EU jedi, so you can about imagine how happy I was when I saw this custom!Click here to see more pics of his work! Incom has been busy with some great WIP's lately!! 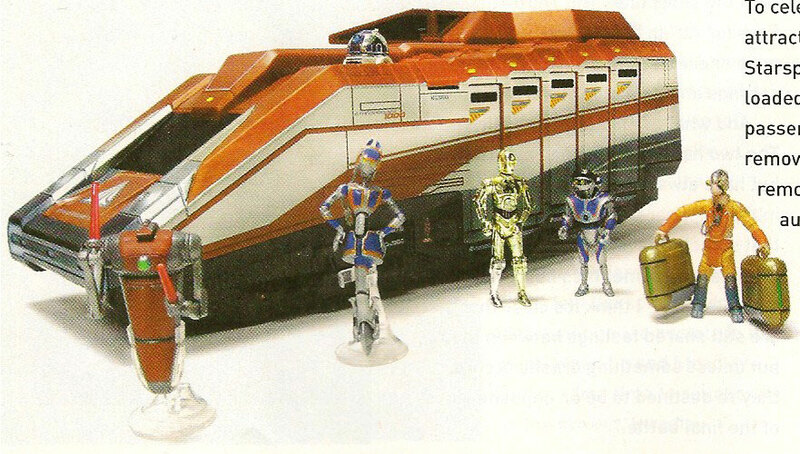 Here is is Arkanian Smuggler. This has the makings of being a truly fantastic custom!! Click here to see his other WIP's!! 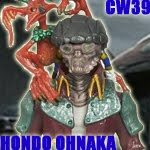 Just a reminder to everyone to post your work in the forums. They don't even need to be finished, we'd love to WIP's as well!! 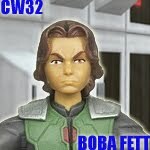 Unless you buy every bounty hunter that comes out, you probably missed this figure. 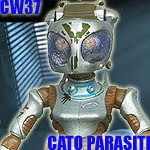 Is Cato Parasiti worth going back for? Mercury Art Studios is in our spotlight today with Darth Bandon. Mike may be gone, but his legacy lives on in his family and in his customs. His work was always of professional quality and really showed his love of Star Wars. His artistic ability was great, but even greater than that was the kindness he showed everyone. I'll always remember his talent, but even more than that, the friendship I had with him through a mutual love of Star Wars customs. Gonna miss ya, buddy. Looking for a good sale? My local K-Mart has 50% off clearance items, and the K-Mart near my hometown has clearance for 30% off. Most K-Marts still have a good supply of Locks ($7 before the sale) and Plo Koon and Cad Bane Deluxe packs ($14 before the sale) if you've held off! Miss any of our reviews this week? Better get caught up before we start a brand new exciting week!